Tired of the old kitchen and bathroom? Want to try out something new? 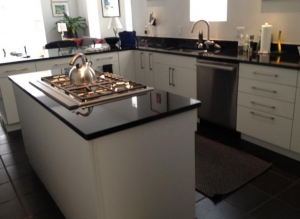 Why not consider kitchen and bathroom remodeling in Silver Spring MD. Several established companies offer you home remodeling that helps you get a home makeover. Moreover, if you are planning to give specific spots a makeover, you must take professional assistance. Talking about the renovation, you must consider these tips to stop from overspending. Before you decide to take up kitchen and bathroom remodeling find out if you need complete remodeling or some part. Usually, kitchen remodeling might include adding counter tops, replacing it, adding shelves, etc. You must consider what type of remodeling you need before hiring professionals. In case of bathroom remodeling, it might include replacing tiles, adding counters, etc. If you have decided that you need kitchen remodeling ensure you start as early as possible. This would give you enough time to meet remodeling contractors and talk about your need. Proper planning will also help you frame budget. Here are things you must try. When looking for a renovation contractor, ensure you get multiple quotes from several contractors. Choose the one that promises you quality work at the best price. Loved what you saw on the TV? That’s great, but don’t try to imbibe it into your home. It would make you overspend and disturb the appearance of the house. Bathroom and kitchen remodeling is not a very cheap affair. Moreover, if you are hiring experienced professionals, you must know the cost. So, before you hire any contractor find out what services you need and how much you are willing to spend. Most contractors offer customized service, so you can get service as per your budget. It is a good thing to consider remodeling your home including bathroom and kitchen but don’t over-renovate. Mark the specific areas and look for minimal remodeling. Over remodeling can disturb the aesthetics of your home and make it look crowded. So, you must carefully consider what you need and what you don’t.